AUTHORITIES raided on Thursday morning, December 6, a house that is allegedly being used as a clandestine laboratory in a posh subdivision in San Juan City. 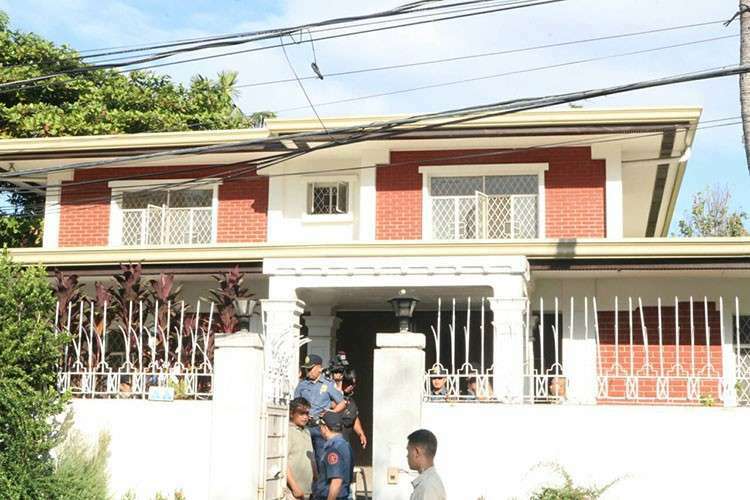 National Capital Region Police Office Director Guillermo Eleazar said combined elements of the San Juan City Police Station, Eastern and Northern Police District, Intelligence Group and Directorate for Intelligence implemented a search warrant issued by Judge Danilo Cruz of the Pasig City Regional Trial Court in a house along Arthur Street, North Greenhills, San Juan City. Eleazar said the house is being rented by a suspected drug personality, but he refused to name the person, citing ongoing follow-up operation. 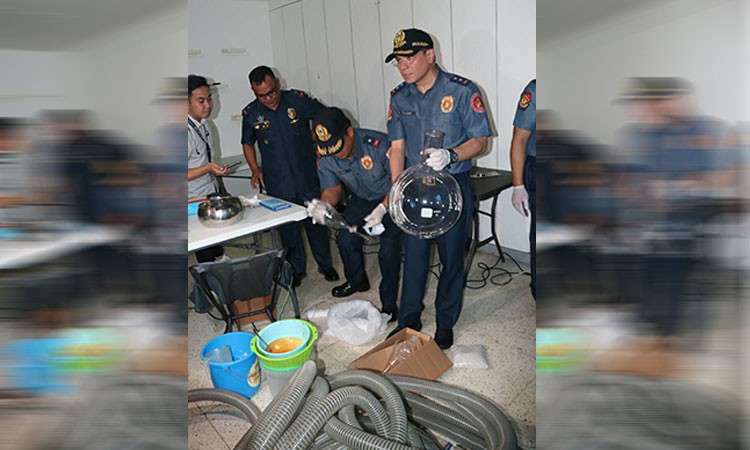 Suspected methamphetamine hydrochloride (shabu) chemicals, undetermined quantity of controlled precursors, essential chemicals, and various apparatus and equipment used for the manufacturing of shabu were recovered during the operation. “This is an abandoned clandestine laboratory. We seized, ang daming equipment, apparatus and ingredients (for the manufacturing of shabu). Sa lutuan, sa isang cycle, it can produce 30 kilos in one cycle, which around P204 million,” said Eleazar. “Wala (naarestong suspect) alam na namin na wala na yun kasi inabandon na yun, just the same ‘yung raid natin is through the search warrant, kasi we want to document the pieces of evidence that are found thereat, including receipts and other documents that could lead us to backtracking these syndicate,” he added. Eleazar said the operation stemmed from the arrest of a certain Marvin Yu in Caloocan City on November 28 and an alleged chemist, Korean national Kim Jong Hee, in the evening of the same day in Pasig City over illegal drug-related charges. Police found sacks of raw materials, gallons of various chemicals, and equipment used in the manufacture of shabu from the parked van where Kim was spotted before his arrest. Eleazar said personalities involved in the manufacturing of illegal drugs in the house raided Thursday could be members of a bigger drug syndicate operating in the country.